Wirelessly connect through Bluetooth and play. Also plug and play with RCA or 3.5 mm AUX-compatible devices including: TVs, desktop computers, laptops, tablets, mobile phones, Blu-ray players, PlayStation, Xbox, Wii, DVD players and other portable devices. This speaker system packs a lifelike punch of immersive bass and crystal clear treble with a peak power of 100 watts and 50 Hz – 20 kHz frequency response. 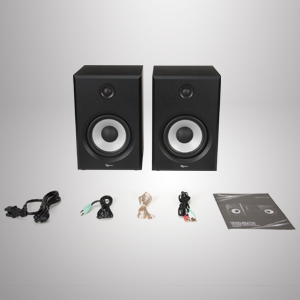 Set up your speaker system in minutes! Everything you need comes in the box. 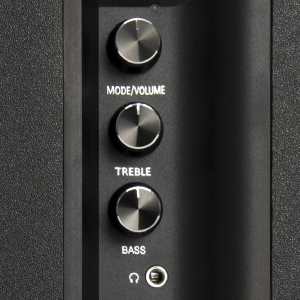 Experience convenience at your fingertips with 3 separate control knobs for adjusting volume, bass and treble. 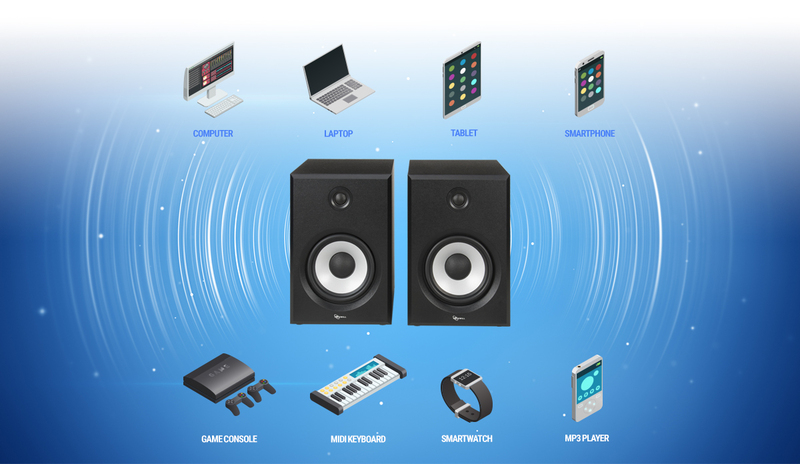 Blast your favorite tunes or immerse yourself in movies and gaming environments. 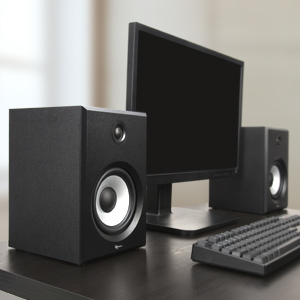 Clarity of sound teams up with subwoofers that bring your entertainment closer to life. 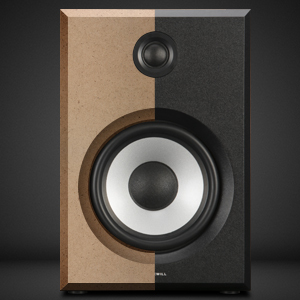 Two well-designed Bluetooth speakers made of wood, the best speaker cabinet material. 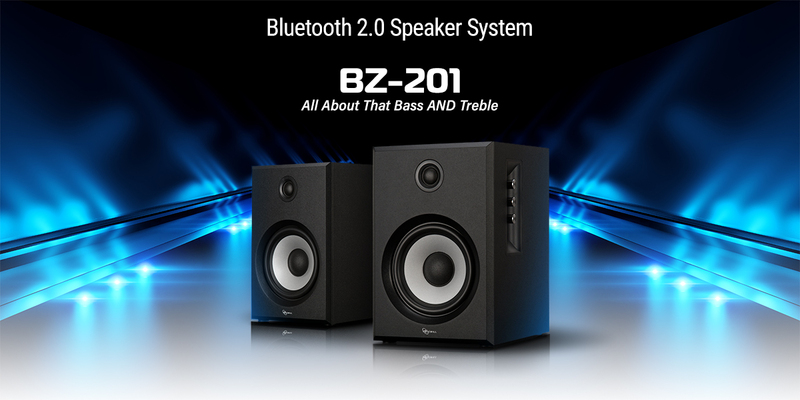 Solid and balanced, the BZ-201 achieves minimal distortion, consistent amplification and great acoustics.